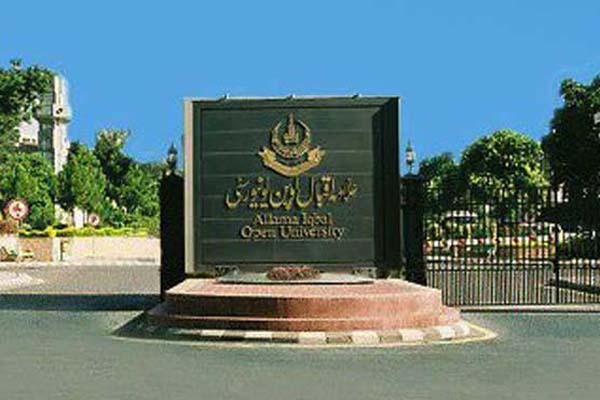 ISLAMABAD, Sep 23 (APP): Allama Iqbal Open University (AIOU) has decided to extend special educational facilities to overseas Pakistanis, particularly those living in Kingdom of Saudi Arabia, Kuwait, Qatar, UAE, Sultanate of Oman and Bahrain. Accordingly, the University announced its admission-schedule for the overseas Pakistanis. The students residing abroad could avail facility by September 30, said Controller Exam here Friday. In addition to Al-lisan-ul-arabi(Basic Arabic Course), Arbi bol-chal, Matric, FA and BA programs, admissions in short terms courses have also been offered for these students. These courses includes: Hotel Services (five courses), Management Sciences (22 courses), Community Education (19 courses) and Social Sciences (13 courses). Vice Chancellor Prof. Dr. Shahid Siddiqui assured that the overseas students will be facilitated in the admission and examination’s process. The University attached high importance to their educational needs. They may continue their study while doing their jobs abroad, he added. The University has also initiated special measures to provide online education, particularly at the higher level. The Vice Chancellor said that the study material of PhD level for all its programs will be available online by the end of this year. The aspiring students may submit their admission forms along with the prescribed fee in foreign currency within the stipulated date. For further detail the applicants may contact the Directorate of Overseas Education and e-learning, AIOU at phone numbers 92-51-9250140, 9250175 or e-mail overseas@aiou.edu.pk.